a. TVS Logistics – an international logistic service solutions provider. b. Drishtee Skill Development Center Private Limited. c. Torp Control Systems, a premier EPC service provider for Solar photovoltaic systems. e. Aparajitha Corporate Servcies – end-to-end HR solution provider to various business across India. In addition to this, he is a director at the NPS Indian International School in Singapore. Dr. Nageswaran graduated with a postgraduate diploma in management from the Indian Institute of Management, Ahmedabad (IIM-A) in 1985. Thereafter, he went on to earn a doctoral degree in Finance from the University of Massachusetts in 1994 for his work on the empirical behaviour of exchange rates. A well-respected figure in the investment finance industry, he has worked at UBS and Credit Suisse in Switzerland, and later headed the Research for Asia at Bank Julius Baer & Co. in Singapore. He also served as the Chief Investment Officer of the bank for a while. 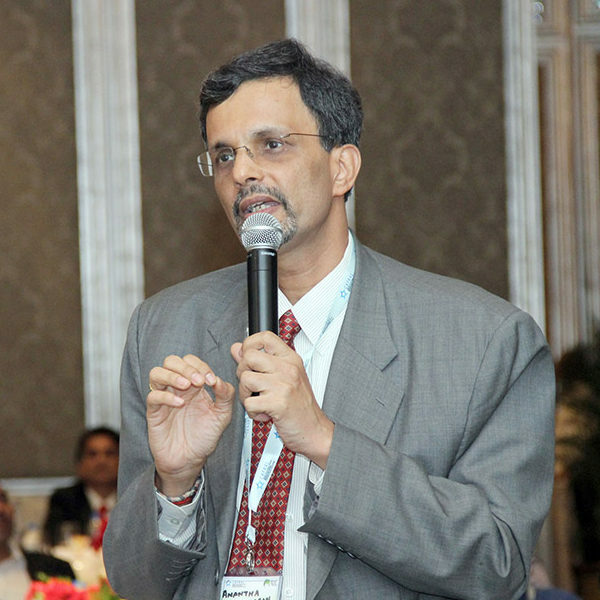 Dr. Anantha Nageswaran presently teaches international economics, exchange rates, and financial markets at leading B-Schools in Singapore as well as India. He regularly writes for his Tuesday column in Mint, an Indian daily business newspaper. He is also a regular commentator on global and regional economies in Bloomberg, Reuters and CNBC.